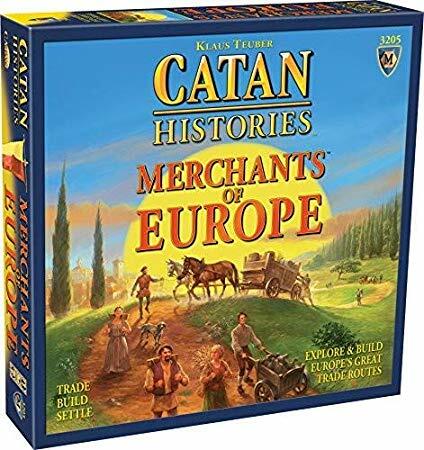 Amazon has The Catan Histories: Merchants of Europe board game on sale for $23.95, down from $54.99. You are a powerful merchant. Start your trading posts in three cities. Recruit new merchants and send them to distant cities to establish trading posts and expand your interests. The more trading posts you have, the more commodities are at your disposal which you can sell profitably in foreign cities. To ensure that your commodities arrive safely at their destination, you must open up trade routes and equip caravans. You win the game if you are the first to deliver all of your commodities to foreign cities. Merchants of Europe uses the simple and fun Catan hex and resource system to recreate the growth of the merchant class across medieval Europe.